Hygiene is among the most essential factors in preventing infections and other issues that can impact not only the health of your eyes but also your long-term vision. Here are some dos and don’ts for cleaning your monthly contact lenses – and the reasoning behind them. Do wash your hands with soap and water before touching your contact lenses. Use anti-bacterial soap where possible, and dry your hands with a lint-free towel. Do not use oil or lotion-based soaps, which can cloud or soil your lenses. Do use fresh, contact lens cleaning solution each time. Do not use tap or sterile water, saliva, saline solution or rewetting drops. None of these serve to sanitize and correctly clean your contact lenses. 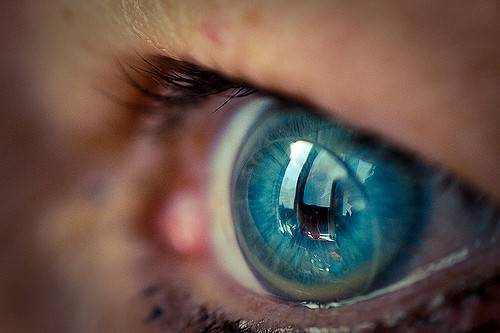 Do rub your monthly contact lenses with your fingers, and rinse them with fresh cleaning solution later. Research studies have actually shown that “rub and rinse” is the best method of cleansing contact lenses, even with “no-rub” contact lens cleaning solutions. Don’t let fingernails touch your lenses. Nails aren’t just sharp, they’re a fantastic haven for germs and dirt. Do rinse your monthly contact lens case with fresh solution, and leave it overturned and available to dry. Do not clean your case with water, which can include pollutants and microbes. Likewise, don’t leave your case near the toilet or in humid places, which permit mildew and germs to develop. Do not move contact lens cleansing services into smaller sized containers for travel or storage, which can jeopardize the sterility of your solution. Keep your solution bottle firmly capped, and avoid contact with surface areas or things while in use. Replace your monthly contact lens case at least every three months. Never wear your monthly contact lenses more than 30 days after first opening. Avoid air smoke and other toxins, which can enter your eyes and cause inflammation and infection. The guidelines that accompany your monthly contact lenses, your contact lens case and your contact lens cleansing solution are, together with your eye doctor’s directions, developed to supply the best care and performance for your particular wearing and cleaning up context. Finally, your optometrist is your ally in keeping your eyes and vision at their peak. Chat with him or her each year to make sure your monthly contact lenses and care system are still appropriate for your eyes and lifestyle.